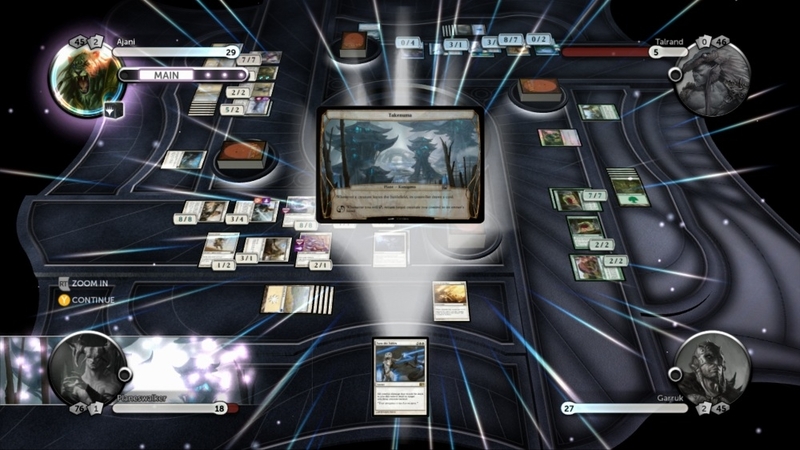 Face a greater challenge with Magic: The Gathering—Duels of the Planeswalkers 2013! In the latest version of this hit franchise, play with friends or the AI as you travel across fantastic planes, take on new encounters and opponents, solve challenging puzzles, and face up to three other players in the Planechase multiplayer format. After honing your skills, pit yourself against the ultimate villain of the Multiverse, the dragon Planeswalker Nicol Bolas. 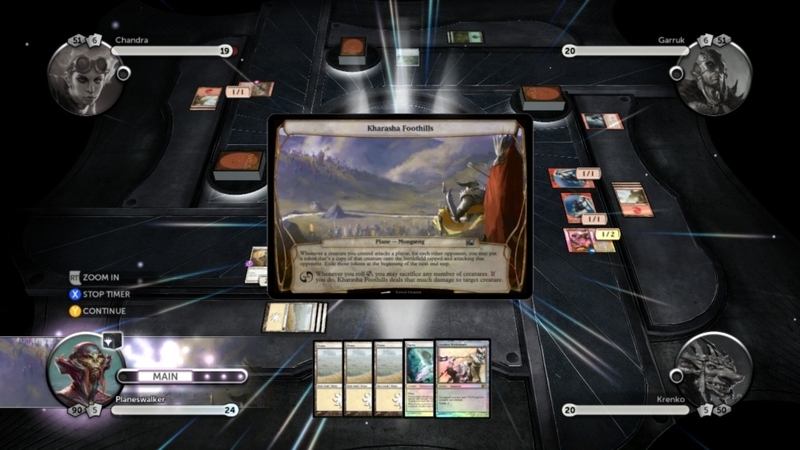 Featuring ten customizable decks, Duels of the Planeswalkers 2013 offers new features including individual records for your game play, new game items to unlock, and, for those already skilled in slinging spells, the option to choose what lands to tap when you cast your spells. 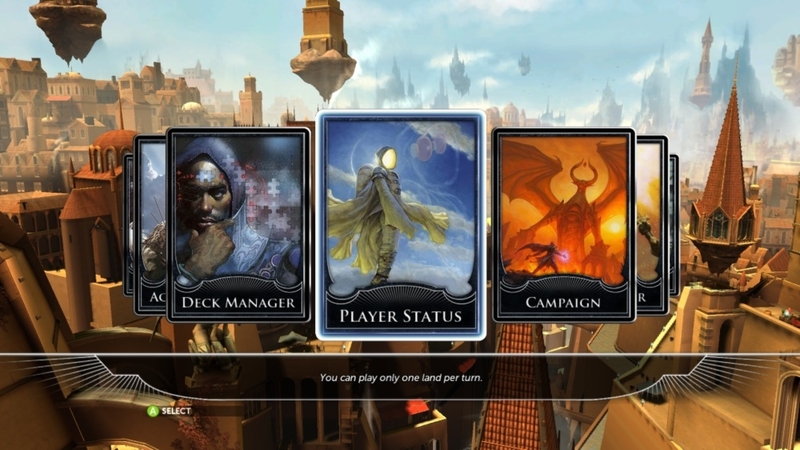 This Duels of the Planeswalkers 2013 deck pack includes two brand-new decks for Campaign and Multiplayer play. The blue and black “Rogues’ Gallery” deck disrupts your enemies’ plans with spells, then summons stealthy mages and shadowy undead to deliver the killing blows. Wield all five colors of magic with the "Mana Mastery: deck. A pentacolor array of spells will help you keep the battlefield clear while you set the stage for towering, indomitable creatures! 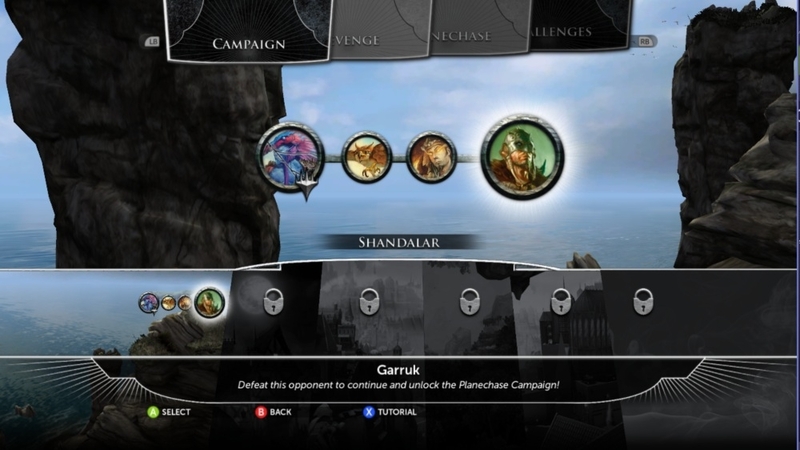 This Duels of the Planeswalkers 2013 deck pack includes two brand-new decks for Campaign and Multiplayer play. Wield the spirits, shades, and life-sapping magic in the white and black “Grim Procession” deck to show opponents that their defeat is inevitable. The end is nigh! 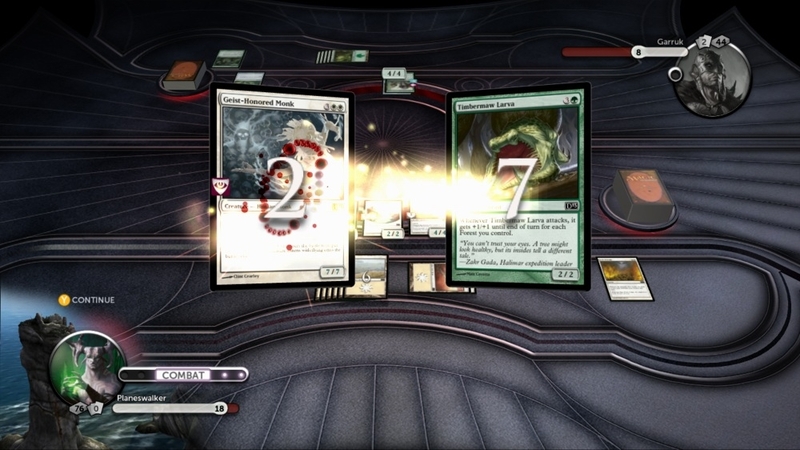 Surge to victory with the red and green “Berserker Rage” deck. Summon formidable monsters, and when opponents let their guard down, use might magic to double their size! 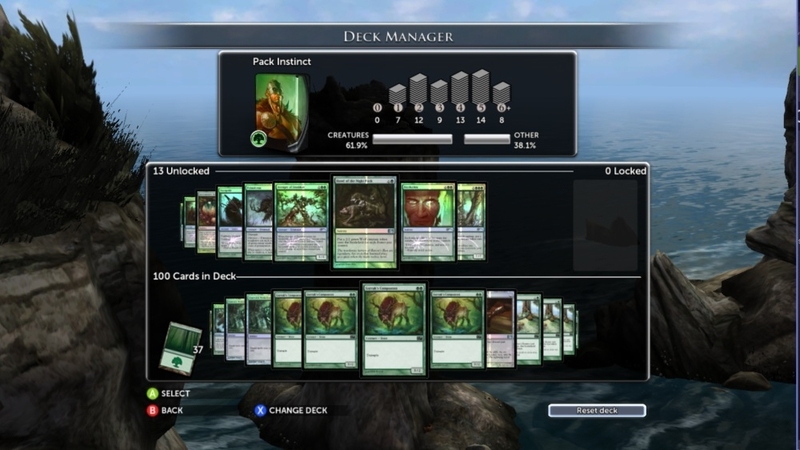 This Duels of the Planeswalkers 2013 deck pack includes two brand-new decks for Campaign and Multiplayer play. With the red and white “Act of War” deck, your heroes will cut a path to the enemy’s door. If they stumble, cast tide-turning spells to light their way. The green and blue “Sky and Scale” starts slow and steady but wins by summoning titanic flying creatures to end your foes’ hopes. Hold your ground and rule the skies. 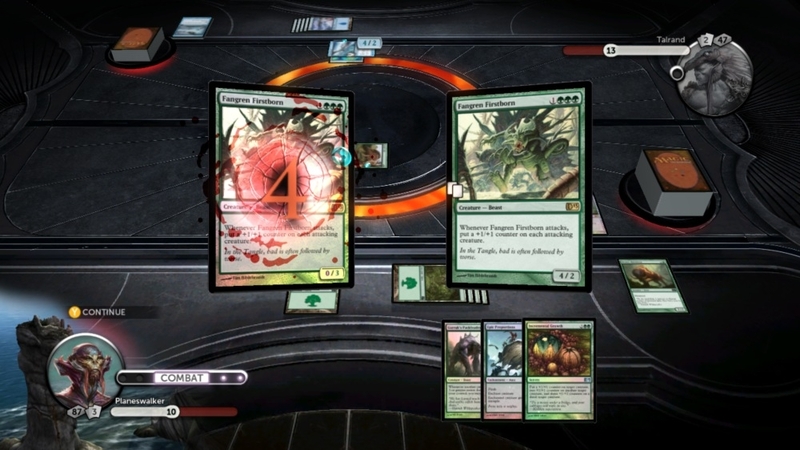 10 more cool pictures to feed your Magic: The Gathering - Duels of the Planeswalker 2013 needs. Face a greater challenge in the latest version of this hit franchise. Play with friends or the AI, take on new encounters and opponents, and face up to three other players in the Planechase multiplayer format. 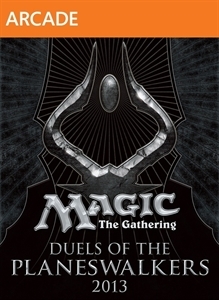 In the Duels of the Planeswalkers 2013 Expansion enjoy five additional playable decks whose colors correspond to the guilds in Return to Ravnica, and additional elements including five more puzzling challenges and ten more single-player campaign levels. Put your spell-slinging skills to the test and try to defeat the guilds to unlock their new decks!